Grey received critical acclaim for his mobile phone images with the release of his groundbreaking book, 1.3: Images from My Phone (powerHouse Books, 2009). His ability to create classically beautiful photographs with the most quotidian of cameras is showcased again in The Billboard Papers. Using an iPhone 5, Grey takes what was fragmented and discarded and turns it into a holistic set of formal and psychological relationships. In his genre-spanning career, Grey has spent more than 50 years keeping his eyes open and hungry, and his mind curious. 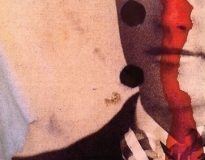 Grey’s work has been the subject of solo shows in New York, Los Angeles, and Berlin. His photographs are part of the permanent collections of the Whitney Museum of American Art and the New York Public Library. The Billboard Papers, Grey’s fourth book collaboration with acclaimed designer Sam Shahid, features an introduction by Grey and a preface by American artist Ross Bleckner. 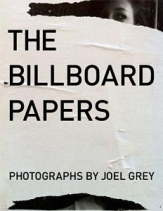 Joel Grey: The Billboard Papers will be on view September 12th through October 19th, 2013. 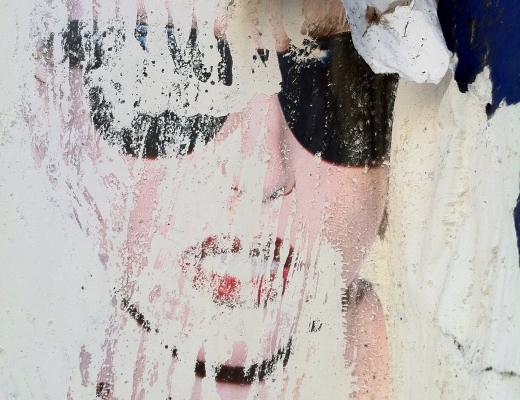 Steven Kasher Gallery is located at 521 W. 23rd St., New York, NY 10011. Gallery hours are Tuesday through Saturday, 11 AM to 6 PM.